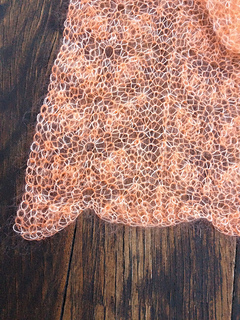 This lovely brioche scarf uses the one-color version of the Leafy Lacy Stitch featured in my book Knitting Fresh Brioche. 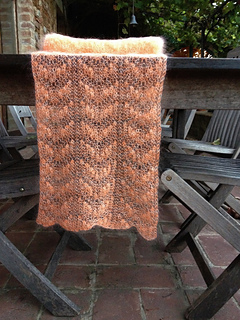 It’s beauty remains on both sides since it is worked in a reversible stitch. Any mohair and silk yarn, such as Rowan Kid Silk Haze will work beautifully for this pattern if you are unable to find Bart & Francis. 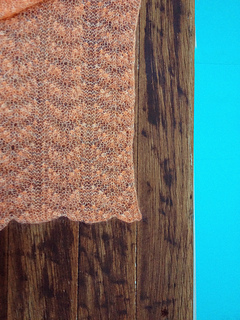 Since this scarf uses a one-color brioche stitch, only brioche knits (brk’s) are used in its constructions along with increases and decreases.